Basil 'Grand Vert' (Ocimum basilicum 'Grand Vert'): growing, planting, caring. A very common - and easy to grow - variety with large and somewhat corrugated leaves. 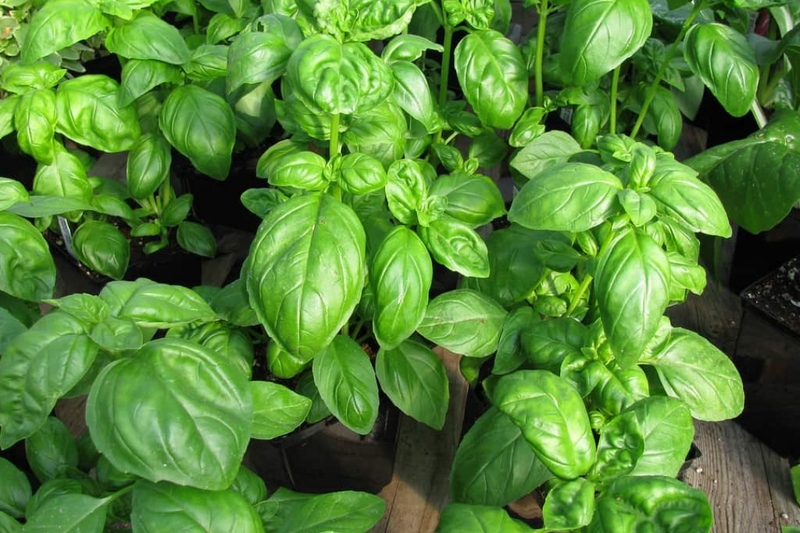 A basil with large (‘grand’) oval green (‘vert’) leaves. Surprised? The ‘Grand vert’ is a vigorous variety with strongly flavoured ovale corrugated leaves. It easily reaches 80 cm in open soil - usually less in a pot.